Both faux and real wood are a welcome addition to all spaces within your home. Whether you are looking for your conservatory, living room or even the bedroom, wood blinds will help to bring style as well as warmth to your rooms. When you are browsing for your window dressings, there are a few things that you should consider. The first of these is the functionality, Will the blinds need to block out the sunlight? Do you want a style that is designed to provide warmth? Maybe you could benefit with some more privacy in your room. Once you have come to a decision about the functionality your space requires, you can now go ahead and whittle down your options by how you want your blinds to look. Often times you will find that wooden blinds will be at the forefront. Not only do they offer a great amount of style, but they also are maintained easily. Wooden blinds are the definitive class that is still the champion of window blinds. 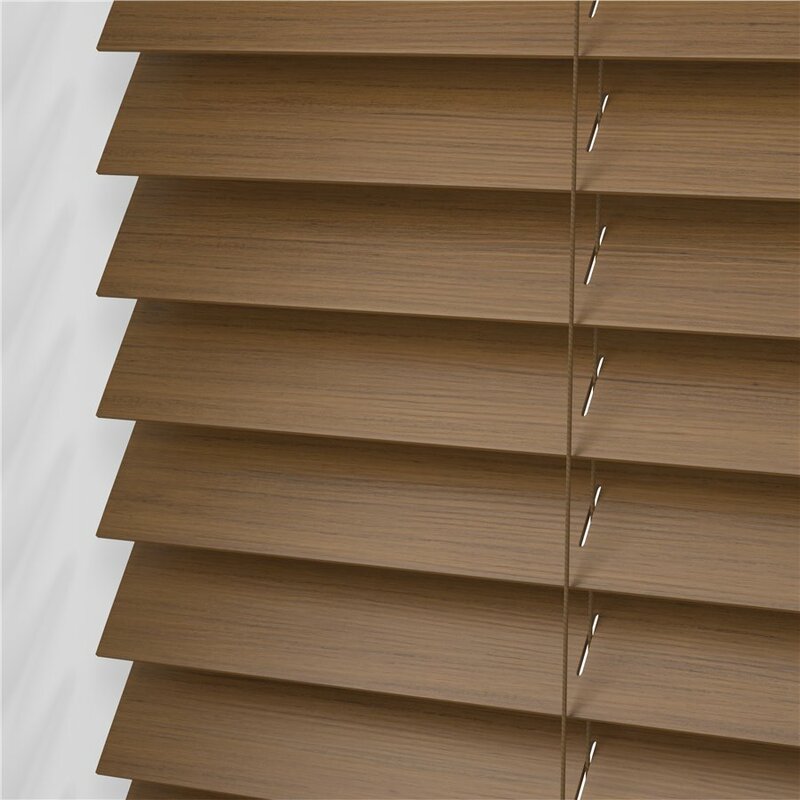 Whether you are wanting a clean white finish or a warm oak glow, wood blinds are available in a wide range of styles. So How Do You Style Wooden Blinds? Interior designers know that contrast is the secret sauce when it comes to creating a stunning and impacting space. With the juxtaposition of tones, textures, shapes and even influences will help to bring both interest and excitement when you enter your room. Contrasts are also great for creating drama and depth, which are both great for rooms that require that warm and cosy feeling. In order to achieve the most effective contrast, you will need to have two, if not more, majorly different items besides each other. This can be achieved easily when using wooden blinds, especially when you choose a style that is deep, rich and has a wood tone. Installing these wood blinds into a neutral space with help give a great amount of contrast, especially against light coloured walls. 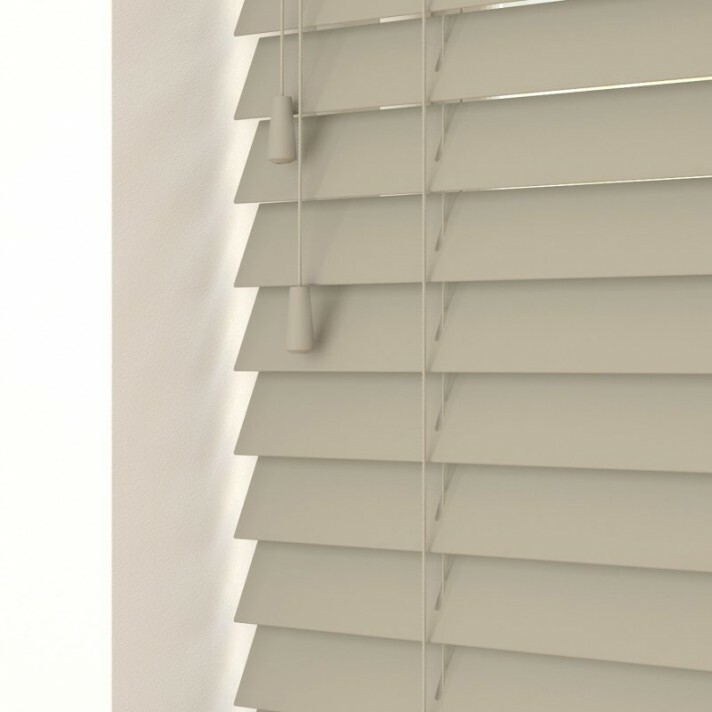 On the flip side, you could use white or pale wood blinds which will work well in a space which is filled with colour. If you have placed patterned wallpaper on your walls and have selected a darker colour for your walls, you should consider using a lighter colour of blind to help compliment the darker elements in your room. Your wood blinds should accent your furniture nicely, not just with the colour but also with the material type and the overall finish. For example, if you had a metallic accessory, it will stand out hugely against something that is simple and classic such as wood. Having contrasts within your interior help to emphasise all the areas and help create a space which is much more appealing to the eye. Contrast should be done in moderation, of course, there is a fine line between a great contrasting room and a cluttered one. Similar to how we would go about layering our clothes to help create a more unique style, we can layer our interior furnishings to achieve something of a similar effect. Layering is one of the best methods to tie together a number of different elements for a more together and charming look. Not to mention that it is also functional, helping to improve the overall insulation in the room and the warmth. Layering is an essential method if you are looking to have a cosy and comfortable space. You can layer a number of elements within your room, whether that’s the rug on the floor or the cushions on your sofa. Every one of these elements can help to create an interior which is welcoming and balanced. You should try to mix up the colours and textures which will help to give you a more stylish space. One thing you could try would be a brightly covered weave against a soft neutral knit. Looking at window dressings, layering is definitely a great design option to consider. Not only does it look great but, it helps to reduce noise and increase energy efficiency. There are a number of advantages to wooden blinds within your window recess. It means that you can add a pair of curtains without having the window overwhelmed with layers. Once you have your wooden blinds installed, you should pair them perfectly with some bold contrasting curtains. This will help to give a more dramatic effect. If you are looking for something a little lighter, you should consider using a sheer voile. There are a huge number of ways to dress your window, from heavy drapes to window scarves, you can achieve your perfect look no matter what your taste or requirements. When it comes to design, less is more. The simple and understated design is a great option for every space. A refined style which will give your space staying power, steering clear of the fads and trends and also having a look which will last a long time into the future. The understated interior design is both elegant and practical. It doesn’t need to be outlandish in order to be seen. It sits in quiet confidence with its functionality along with its timeless appeal. This particular style focuses on high quality, durable and environmentally friendly pieces which are all to be presented in a manner that is minimal. An example of this would have a simple reclaimed wood coffee table with 2-3 ornaments sitting on top. If you are stuck for ideas, then you can find some great examples of understated interior design in the Scandi looks, which has become hugely popular over the years. Scandinavian design is typically simple and clutter-free, always focusing on quality over quantity. Wooden blinds are a great choice if you are looking to achieve this type of space. This window dressing is simple, minimal and extremely durable. Helping to provide a strong investment with its subtle style. A grey wood blind is one of our favourite solutions, it will help to coordinate your space whilst keeping a light and bright feel. If you’re looking for an understated style, then this is definitely the way to go!